Start your review of Chris Tonkin. 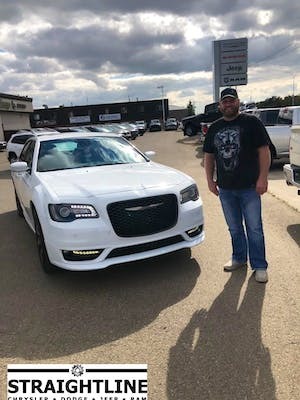 Extremely proud to be the Dealer Principal of Straightline Chrysler Dodge Jeep. Our goal is to SHIFT THE EXPERIENCE and ensure that you, the customer, is always the number one priority ! 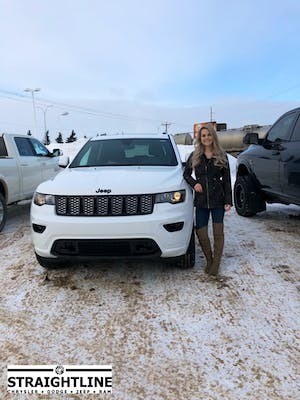 Outside of the dealership, I love spending time with my wife and kids, travelling, water-skiing, paddle-boarding, competing in triathlons and more. If it gets the blood going, I love it ! Thanks for stopping in and I look forward to meeting you @ Straightline ! Send a message to Chris Tonkin. Thank You! 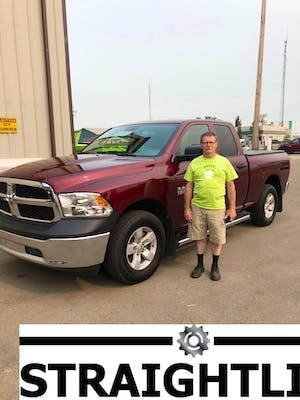 Your message has been sent to Chris Tonkin at Straightline Chrysler Dodge Jeep Ram. The sales staff were courteous bot not pushy. The salesman Brandon even delivered the Vehicle to my house so that I received it just after our trip. The vehicle was clean and the tank was full. 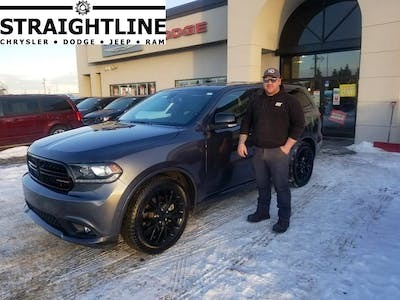 A great experience purchasing my new Durango. The staff were excellent, friendly and resourceful. Being a Mopar enthusiast and owning many Chrysler products, this has been the most pleasant dealership to deal with. Keep up the good work! I felt comfortable as soon as I walked in. The service was prompt and they explained everything very well. They were so helpful, at one point I wasn't sure who was taking care of my deal! I guess they all were. Will definitely recommend, will definitely be back. Thanks Straightline! I love my new truck! Right from the get go I felt in good hands with the straight ine team. I was very nervous about buying a new to me car. They were not trying to sell me a car, they were trying to help me. I felt that through all of the process. The team was awesome and I could'nt recommend them more highly. 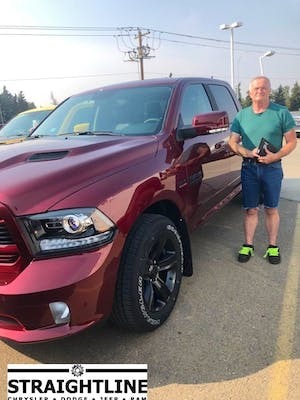 I had first went to Sherwood park dodge to buy a van after I wrote off my Dodge Journey when I hit a deer. I had nothing but trouble with them. They got me into a van that didn’t have heat, the back up camera was broken and it pulled to the right. 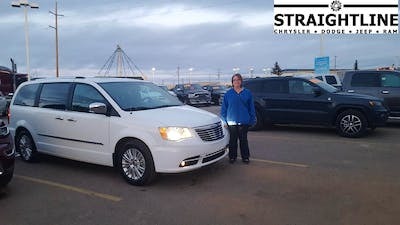 I took the van back and went to straight line Chrysler , told them what was going on, and all the lies I was getting and the bullying from Sherwood dodge . Chad found me the exact van I wanted, and Amber and chad and the management helped me get out of the deal with Sherwood. When my insurance wouldn’t pay for my rental anymore, they gave me a loaner vehicle so I could get to work. I was a emotional wreck but they stood behind me and answered any and all questions I had!! I am only ever dealing with Straight line Chrysler from now on!